February 2015 – Julie Froberg Rose in L.O.V.E. Valentines Day has its’ own special memories or meanings for each of us. As children, we looked forward to the card exchange and the excitement of being allowed treats at school. We decorated boxes and carefully chose our favorite tv or cartoon character cards to give our classmates. There was little anxiety or sadness surrounding the day, as each student was required to bring cards for everyone in their class. Going into middle school, the Valentines Day anxiety began. 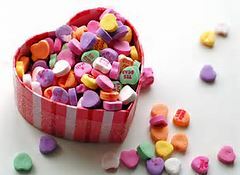 Some schools sell flowers, candy or cards for students to give each other. Kids hope and wonder if they will get a special token of friendship. These tokens usually go to the “popular” kids. The recipients happily stroll the hallways with their loot in gear while the other students sneak longing glances or feign indifference. The social divide begins. Transitioning into high school, there are the girls that get flowers, teddy bears, candy or other treats from their admirers. Then, there are the girls that don’t. Why is this? Most likely it is a number of things. Perhaps the “popular” girls learned to expect the attention in middle school and that confidence draws others to them. Maybe the girls that think they don’t have admirers do, but missed out on social clues from them. Some are content with their few close friends and are concentrating on studies. Luckily, Valentines Day doesn’t hold the significance in high school that it did when younger, so most go through without any major self esteem blows. As adults, we are inundated with media messages of what we should expect and do on Valentines Day. According to the media, flowers and a special romantic night out are a must. A gift of jewelry is supposed to show your woman she is extra special. Racks are filled with scanty lingerie to entice your man. What about those that eschew these traditions or do not have a significant other? Do they feel left out? Of course, we cannot answer for all and this editorial does not purport to speak for everyone. However, it is likely to resonate with many. Most of us have felt disappointment or know of others that have been on Valentines Day. Perhaps we do not have the other half to a “couple,” or our special someone does not acknowledge Valentines Day. Maybe we don’t care to celebrate another “Hallmark Holiday.” It could be we had a night out that went sour or other unhappy memories associated with that day. Whatever the case may be, it is either a case of having unmet expectations or not taking loving care of ourselves. Unmet expectations are easy to deal with: don’t have any expectations! How freeing that can be! So, your spouse did not bring you flowers? That’s okay, because you did not expect any! If your spouse did bring you flowers, what a happy surprise! Focus on all the good qualities your significant other has and be grateful you have someone special in your life. If you are with someone that brings you more agony than happiness, use this time of year to reflect on making changes in order to usher in a more joyful spring! Again, I reiterate; have no expectations and enjoy what you have! Valentines Day can be especially lonely for many reasons: divorce, death, no significant other or bad memories. This too, can change! For example, my daughter and I were each others’ Valentines many years. To this day, we still celebrate by giving each other gifts and cards. If you feel you have no one to celebrate with; you do! Celebrate yourself! Buy yourself a box of chocolate or flowers, do something just for you! Have a special treat out at your favorite restaurant, enjoy a book or movie, etc. Just do something special to say “I love you” to yourself! Even better, do something for for someone else! There is no better cure for sad thoughts than getting out of ourselves to brighten another person’s day! Visit an elder, send a card to someone not expecting it, or make that long put-off phone call. Let someone know you care and I guarantee you will feel better for it! On Valentines Day and every day, don’t rely on other people for happiness, love yourself and try to make each day special. 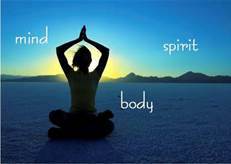 By feeling joy, we draw other joyful people and experiences to ourselves. Happy Valentines Day! Make Jungle Red YOUR next Fabulous Find! 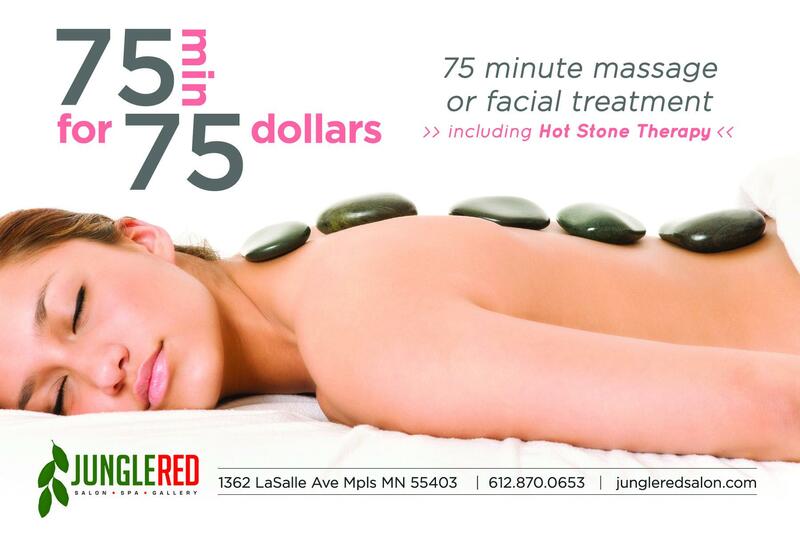 There are a plethora of spas and salons in Minneapolis, but Jungle Red stands out for their support of the arts and community! Owner Suzanne Erickson is a huge supporter of homeless youth and other worthwhile endeavors. This coming Friday, Jungle Red hosts The Red Affair to support Avenues for Youth. There will be a host of musical and artistic entertainment and delicious food from three of the top restaurants in Minneapolis. Not only may you enjoy services ranging from hair, massage and more at Jungle Red, , you can be a club member to enjoy special perks and savings! Located in beautiful Loring Park, Jungle Red is easily accessible by both pubic and private transportation. Let yourself be pampered by their friendly and professional staff! Come meet the staff the first Wednesday of each month at Rhythm and Red, where a select artist has their art featured in the Jungle Red Gallery. Enjoy meeting the artist, live music, wine, appetizers and great people! There is no cost to attend this fun monthly event! The next Rhythm and Red is Wednesday, February 4th from 7pm to 9pm. See you there!